Twenty-five of the premier wreck sites have individual moorings adjacent to the wreck, allowing great freedom to come and go as you wish — as long as you are back in time to depart to the next wreck. 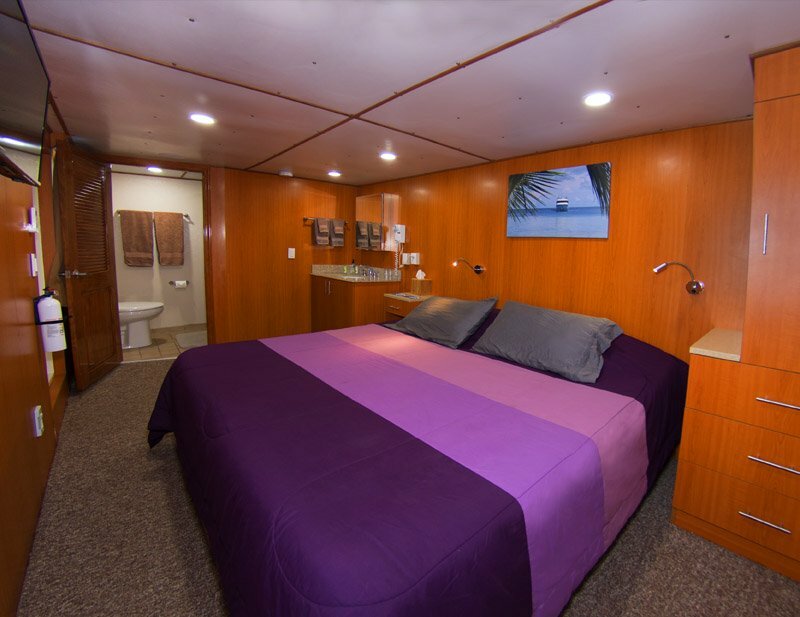 Staterooms are spacious and luxurious, each with king or twin beds, entertainment system, private bathrooms and individual climate control. 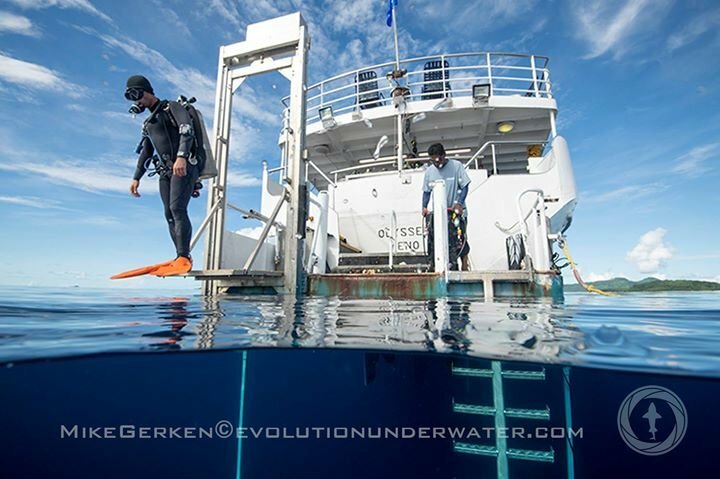 Odyssey uses experienced local Chuukese dive guides who know every facet of the wrecks inside and out. Twin tanks, nitrox, pony tanks, custom oxygen blends and even trimix are all available, as well as CO2 absorbent and bottles for rebreather divers (additional fees might apply). Bring a hearty appetite: Meals and snacks will impress — and keep you charged up for the diving. Soft drinks, beer, wine and spirits are included. The Odyssey boasts nine large, luxurious staterooms all fully carpeted with private air conditioning controls, windows or large portholes, and private toilet, shower and sink all in every stateroom. Seven of the staterooms are equipped to easily accommodate two single travelers in twin beds or a couple in a spacious king size bed. 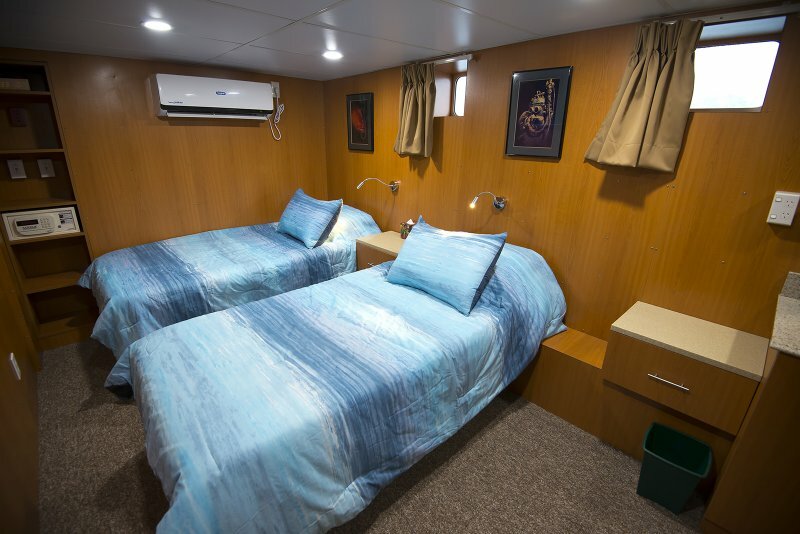 Also available are two staterooms for single travelers only – they have all the features of the double staterooms and easily accommodate the single traveler in a twin bed. All staterooms have a 32" monitor with access to the onboard entertainment system. Staterooms are cleaned daily. 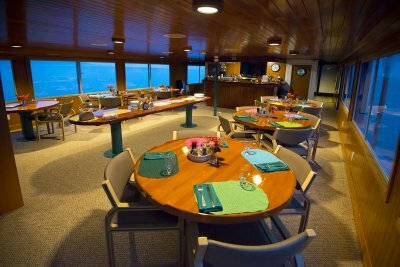 The Odyssey’s dining salon is fully carpeted and air-conditioned with two walls of spacious windows for viewing the beauty of the islands in Truk Lagoon. Delicious buffet-style meals are the norm for the Odyssey. We feel its more relaxed and similar to being at home. Breakfast includes a hot breakfast plus toast, cereals, fruit, and juices. Guests are served delicious lunches and snacks throughout the day. Hot, savory, hearty dinners will complete your exciting day of diving, eating and relaxing. Don't forget the most important part of the meal though…the dessert! During your stay in Truk Lagoon you will find that the majority of your diving will easily be done directly off the Odyssey while we are moored over the dive site. Once you arrive and set up your gear in your own private seat and protected dive locker, you won't have to take your gear apart until you prepare to go home. Your tank (air or Nitrox) will be conveniently filled at your seat. 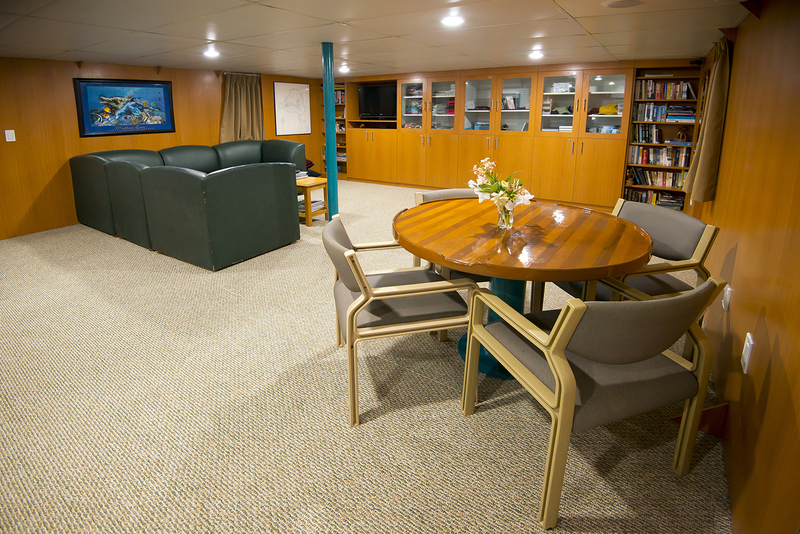 You'll find that the spacious dive platform (13’ x 6’) has plenty of room for two divers plus a divemaster. One 7’ ladder and an in-water elevator to help you out of the water where you can step up to the convenient freshwater shower to rinse off with. Just 4 steps to the dive deck and you'll find the camera rinse tanks (one on either side of the boat). Past the camera rinse tanks are the gear rinse tanks. For our photographers, we have a large, sturdy, 3-tiered, carpeted photo table for all your working needs. There's plenty of space to hang your wetsuit on the bar just in front of the protected fan blowing warm air out of the engine room! Ahhh! 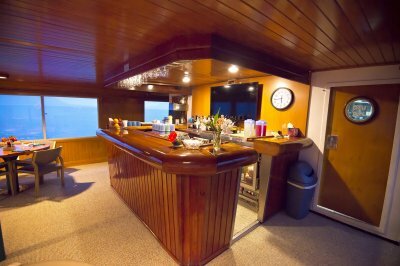 The comfortable lounge is where you'll find a variety of ways to entertain yourself. We have a well-stocked fridge to quench your thirst while you settle in for a good movie (with over 500 titles to choose from — even current ones). You can also find a good book to read in the library, or look through our various fish identification books. Odyssey also has a well-stocked boutique located in the lounge. departure. In the event you need to cancel every effort will be made to fill your spot. If we are able to fill your spot a full refund will be issued. Click here for a second week in Palau!